All of our Potted Christmas Trees are living, with their root systems intact, so they will continue to grow after Christmas. They need to be cared for, with regular watering and re-potting in subsequent years as they outgrow. The white spruce (picea glauca), also commonly known as the "Christmas Star", has green to bluish green needles and has a beautiful dense cone shape. It is a dwarf variety that has very slow growth, typically only 2 - 10 centimeters per year. With it's spruce tree fragrance, it is ideally used as a small Christmas Tree. The Tiny and Extra Small sizes are perfect as a table display or for an office desk. 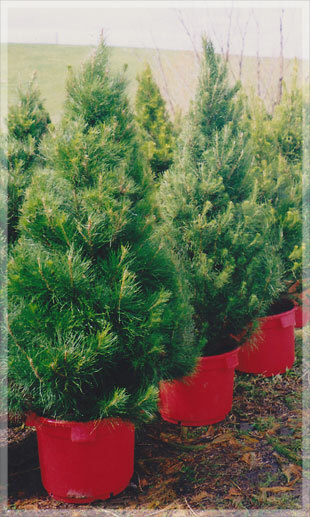 Trees are available for purchase in our Sydney Store, Please visit us in store or contact us. The Blue Star (picea pungens), is a beautiful grey form of the Colorado Spruce. Slow growing conical small tree developing horizontally layered branching with age. 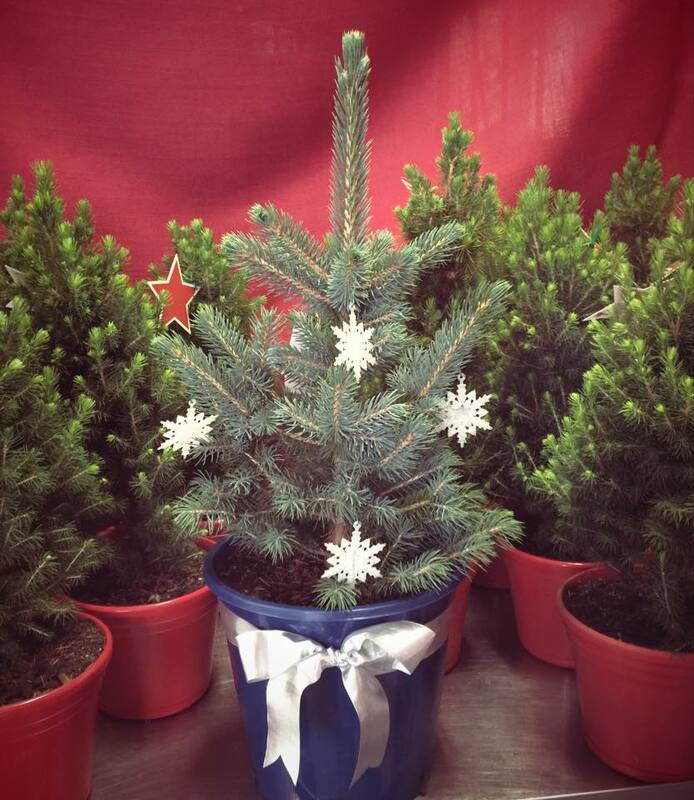 The Blue Star is extremely hardy and is best placed in a decorative pot for an excellent long lasting Christmas Tree. 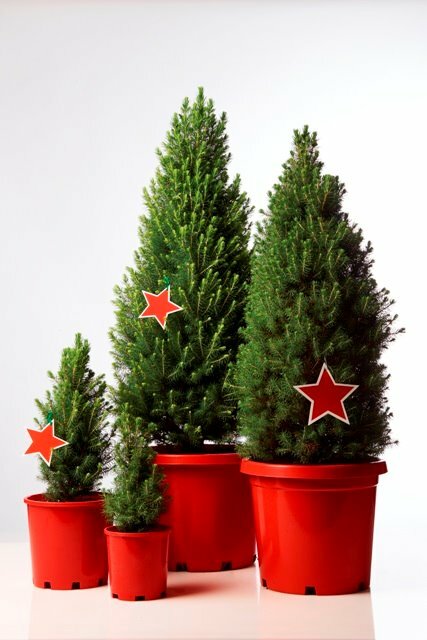 After Christmas you can place outside in a shady spot and repot into a larger container if needed. In 10 years, your Blue Star can grow up to 1.5m high and up to 1m in width.